I’m down to the final couple tracks of the Mid-American Conference. It’s Western Michigan University today, and the Kanley Track & Field Complex. The original track at WMU was located inside Waldo Stadium, which opened in 1939. 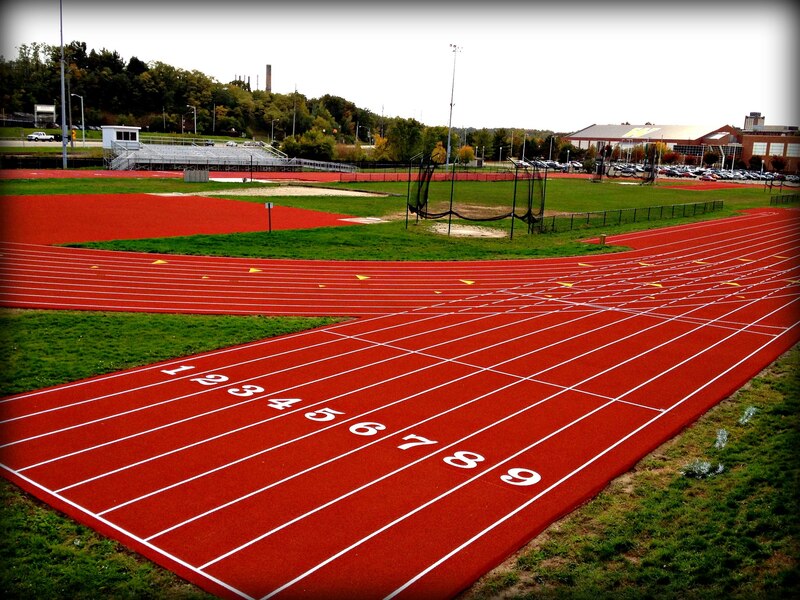 Sometime in the 1970’s or 1980’s, Kanley Track was moved across the street and became a track & field- only facility. According to the WMU athletics website, a massive renovation of this facility occurred in 1993, and the result is what you see in the Bing photo above. However, in the Google satellite photo, the track is actually being resurfaced. From what I’ve been able to determine, it was most likely done in 2012. The last time the Broncos women’s team held a meet here, was also in 2012. The one and only time they hosted the conference meet was in 1995. On another personal note, I’ve been following the WMU football team a little more closely this fall, because a former student of my is now on the coaching staff here. Go Broncos!